A new report predicts continued collaboration in the Arctic in the next decade — but highlights a few wild cards. The Arctic is one of the most secure regions in the world, experts say. But as the environment changes rapidly, opening up the region to new economic opportunities and increased traffic, the region could become less secure. A new report, recently published by the RAND Corporation based on exercises conducted last year, found that the future outlook for Arctic strategic cooperation remains bright, certain”wild cards” could threaten the region’s stability in the coming decade. In June 2017, experts gathered in Oslo, Norway, for a tabletop exercise working through three hypothetical situations around circumpolar security. The scenarios included overlapping claims by Arctic nations on extended continental shelves; increased maritime activity; and maritime incidents that could morph into security threats. 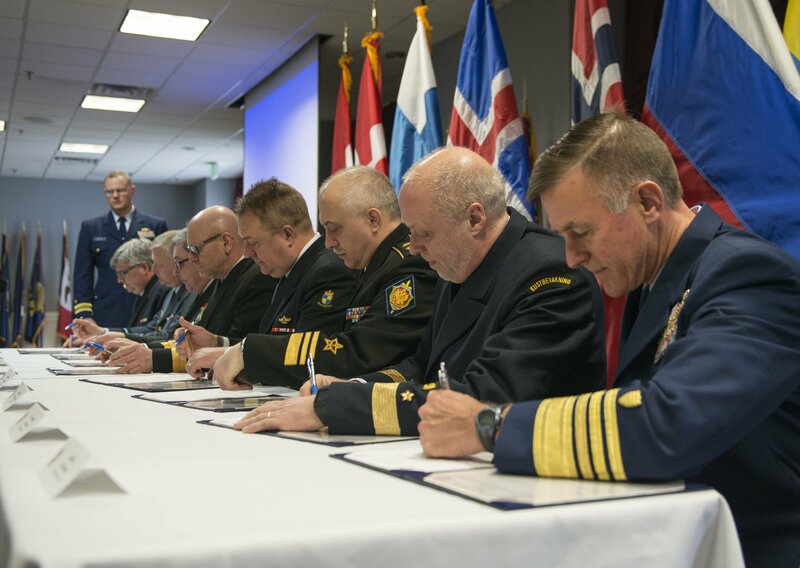 The 20 participants in the exercise represented diplomatic and defense organizations, shipping and oil industries, indigenous communities and security research institutions in seven Arctic countries — Canada, Denmark, Finland, Norway, Sweden, Russia and the United States — plus the United Kingdom. “While the Arctic appears more conflict-free than many other regions, how well established is this pattern of cooperation, and how resilient can we expect it to be?” the authors ask, examining the ways in which this cooperation may hold up to rapid and unprecedented changes in the region over the next decade or so. In the first two scenarios — conflicting claims in the high seas and increased maritime activity — the report predicts that international norms and treaties will continue to hold firm. “Arctic countries are much more likely to respect established international norms and practices than attempt to circumvent them,” Abbie Tingstad, one of the report’s authors, said at a Wilson Center event presenting the report’s findings last month. 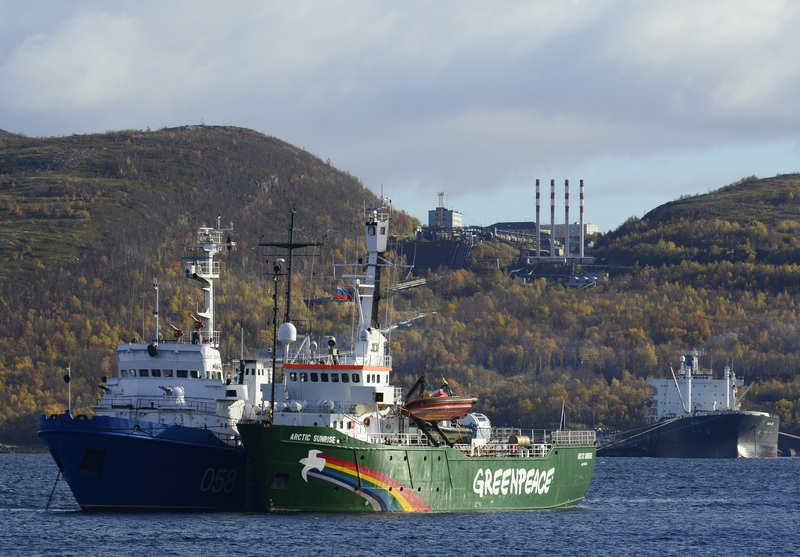 However, there are situations that could destabilize Arctic strategic cooperation. What if, for instance, Russia were to crack down on environmental groups protesting natural resource exploitation as it did in a 2013 incident? Or what if ships from different countries collide, or nearly collide and spark outsized conflict? Repeated accidents like these could lead to finger-pointing over how countries are adequately maintaining their Arctic presences, such as their search-and-rescue efforts. These scenarios are perhaps the most dangerous because they prompt fear over countries’ limited knowledge and awareness about what others are doing in their Arctic territory — and such fear can lead to misinformation and miscommunication. Increased activity in the Arctic — and the increased contact with other nations that will almost inevitably accompany such activity — could be a catalyst for a nation to take an aggressive stance on security. An Arctic country could escalate a minor issue to make a point, Tingstad said. Such situations would require international cooperation to resolve, and could test the limits of Arctic collaboration. Particularly when it comes to issues like maritime safety, domain awareness and NATO involvement, the authors say, the issue becomes trickier. “Energy economics was unlikely to derail cooperation in the future, while an increased NATO presence would likely do so,” co-author Stephanie Pezard said at the Wilson Center. However, Tingstad and Pezard emphasized the economic value of cooperating in the Arctic, from having natural resource claims approved to attracting more international investment. The more secure the region is, the more promising it can look to investors. And the more secure the Arctic seems to outsiders, the less likely other nations will attempt to intervene. “The Arctic nations have an incentive to solve problems amongst themselves — for example, through the Arctic Council — because there’s a thought that any appearance of a security void could cause external involvement in Arctic affairs in a non-economic way,” Tingstad explained at the Wilson Center. For these reasons, she said, “the strong structure of cooperation in the Arctic region” will likely continue in the next decade.